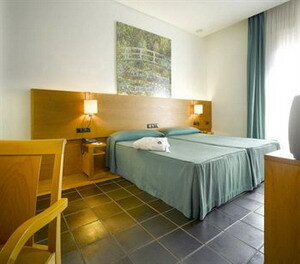 Totally refurbished, its spacious rooms and the comfort it offers turns Hotel Levante into a modern and functional establishment. 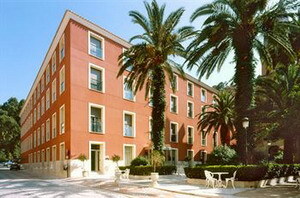 The Thermal Beauty Farm is next to the hotel’s hall. 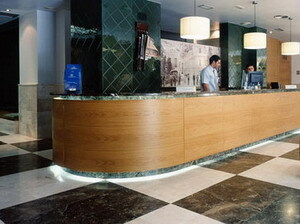 The restaurant service is carried out in Hotel Termas, located next to Hotel Levante. 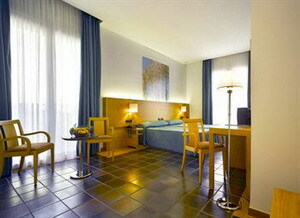 The comfort of the rooms and the quality of the services guarantee an unforgettable stay. The hotel remains open all year round. Archena Spa Resort’s bars and restaurants offer an impeccable and varied gastronomical offer, based on a creative Mediterranean cuisine, conciliated with the traditional cuisine, making for a unique place to enjoy fine dining. 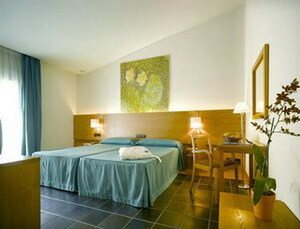 Archena Spa Resort’s cuisine is well balanced, creative and of a high quality. Its precise and avant-garde elaboration gives place to the healthiest and most harmonious variety of menus found in contemporary cuisine. The resort has 3 restaurants, where you will be able to taste exquisite dishes, either in the “menu of the day”, “a la carte” or “buffet” modalities, and 3 bar-cafes, each of them with a terrace making for the perfect place to enjoy a good appetiser, snack or coffee in harmony with the environment. 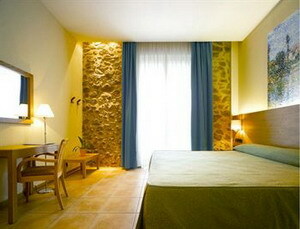 The hotel has 70 rooms, all with fully-equipped bathrooms, hairdryer, telephone, heating, air conditioning, Sat-TV with international channels and minibar. The Spa Hotel & Resort Balneario de Archena is a thermal complex covering more than 200,000 m2 located in the Murcia province, Spain. 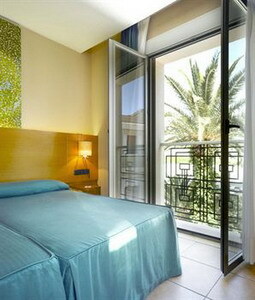 It is situated in Valle del Ricote, a privileged natural enclave found next to Río Segura (Segura River) where it flows through Archena; Archena Spa Hotel & Resort is a luxury spa hotel only 24 km from Murcia and 80 km from Alicante’s airport, close to Costa Blanca in Mar Menor, and next to Murcia’s airport in San Javier. 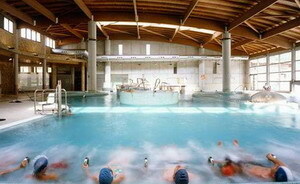 Spa Hotel & Resort Balneario de Archena employs water originating from a spring that holds mineral-medicinal qualities, whose properties make this excellent Mediterranean hotel a leading establishment for health tourism in Spain, following the latest trends in wellness and hydrotherapy. 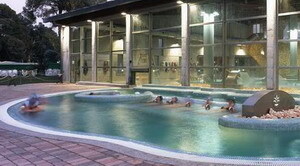 It is ideal for a spa break, health spa holidays or a luxurous spa weekend offer. 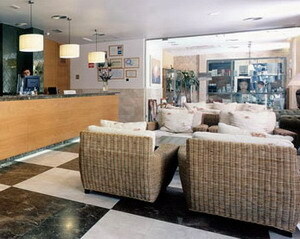 It has three hotels and a spa where balneotherapic treatments are carried out, with water being the main protagonist. 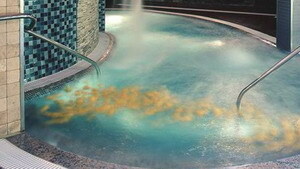 Mineral-medicinal water spa treatments, along with the thalassotherapy treatments that employ sea water, constitute the indispensable element in the scope of health tourism and water treatments. Archena is an ideal destination for your holidays, and Spa Resort & Hotel Balneario de Archena offers all the possibilities for leisure, rest and relaxation. Archena Spa Resort, belonging to the acknowledged Royal Spas of Europe organisation, is a thermal complex representative of the spas in Murcia of great importance and prestige in health tourism at a national and international level. This status has been gained by as much its facilities as by the quality of its medical, aesthetic and hotel services, and for being a reference in the spa treatments environment, where tourism and health are united to provide visitors with a perfect combination of leisure, rest and renewed vitality, all year round.